Treating our customers with the same respect, honesty, integrity and professionalism that we would want to be treated. Knowing that our customers deserve our best service and doing what it takes to deliver. Since 1932, we have prided ourselves on “Building Relationships with Hometown Service”. Our company has been in business for over 75 years. 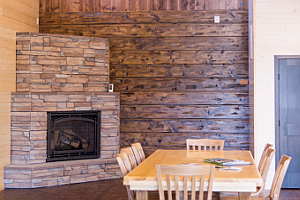 Milaca Building Center is widely known for our quality inventory of common and not so common lumber products. We buy our lumber from the highest quality mills to assure our customers that we will provide them with the finest products from the forest. 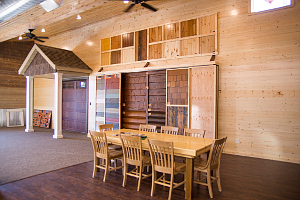 Quality lumber and plywood products alone has not brought Milaca Building Center the generations of success that we have experienced. Our sales, support and yard staff includes knowledgeable, professional individuals with many years experience in our industry and we are committed to customer service. The Mission of Milaca Building Center is to provide superior service in supplying building materials to our customers while maintaining the highest ethical standards. Experience the colors, patterns and textures of our entire line of products including roofing, siding, windows, doors and much more by visiting our NEW showroom where do-it-yourself-ers, builders and designers can mix and match colors to ensure you get the exact color palette you desire in your remodel or new home development. We feature product lines from all the top manufacturers you know and trust including but not limited to LP® SmartSide®, James Hardie, Trex®, Rollex, Certainteed, and many, many more. 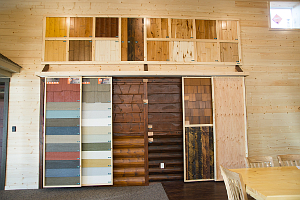 If it's lumber you're looking for, we also have a large offering of wood products on-site. Questions? Our on-site experts are here to help!